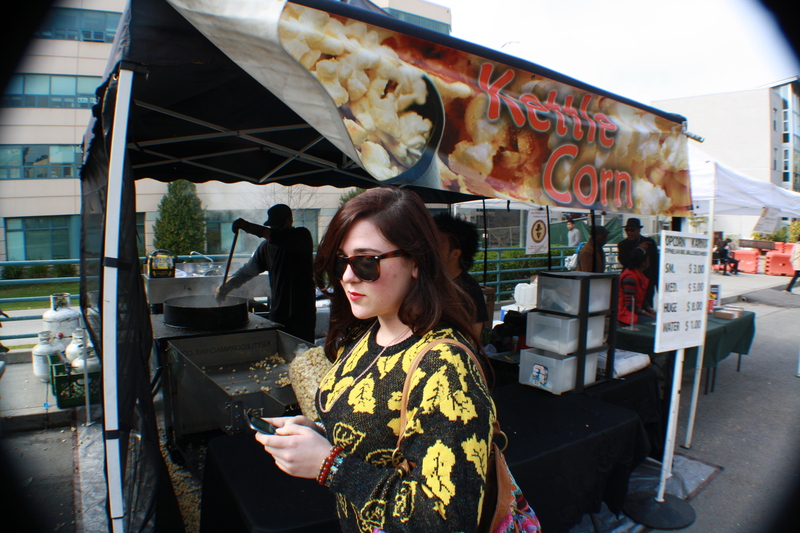 Every Thursday food vendors come to San Francisco State University to tempt hungry students with tasty treats like Belgian waffles, tamales, and wait for it…kettle corn. 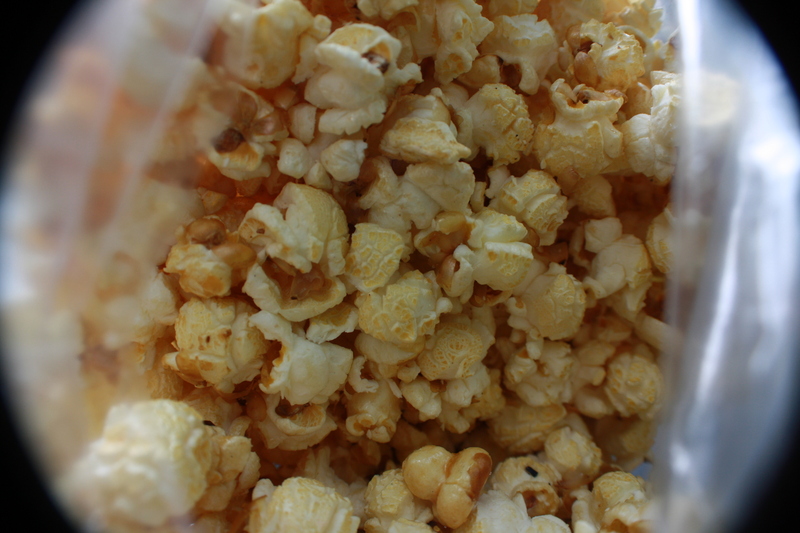 Now I am not the biggest popcorn fan, but what self respecting human being doesn’t love freshly cooked popcorn smothered in sugar? I rest my case. 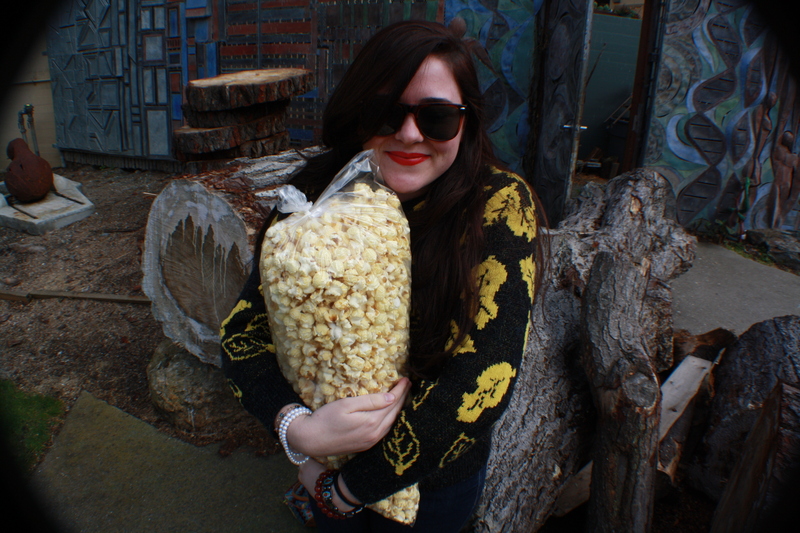 So, after almost 3 years of denying its allure my roommate, Julio and I finally succumb to the popcorn. Go big or go home, right? The sizes were as follows: small, medium, huge…not large, huge. Always up for a challenge, and with a 3 hour class coming up we settled on the huge. There was only a little bit left in the kettle when we paid, so they had to make a new batch. SCORE! 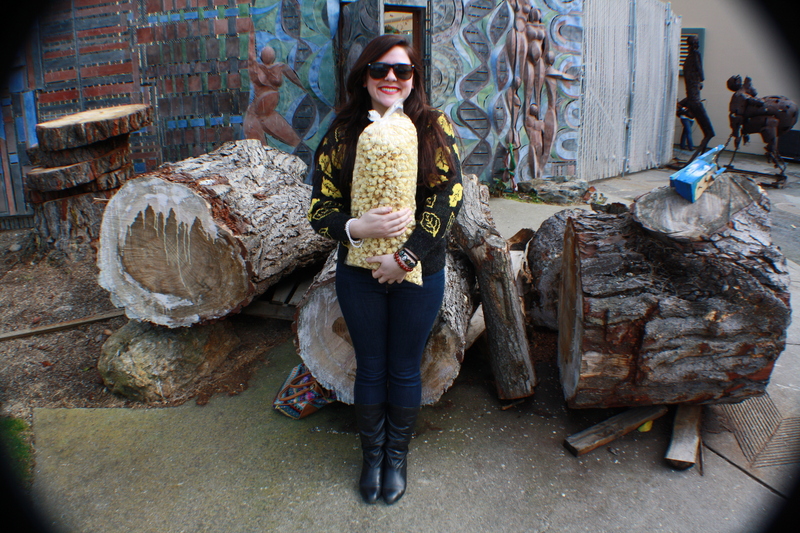 This entry was posted in Uncategorized and tagged happy, huge bag, kettle corn, popcorn, SFSU, sugar, sweet by kristinakerley. Bookmark the permalink.